Hartford Electrical Services: Are GFCI Outlets Necessary? GFCI stands for “ground-fault circuit interrupter,” a type of appliance plug found in many households. They prevent electrical shock when used, since they have a built in circuit breaker that will shut off power if they sense an electrical imbalance. Are GFCI outlets necessary? And if so, what homes would benefit the most from them? The short answer is yes. In the first place, GFCI outlets reduce the risk of injury to people using them, as well as providing added protection from an electrical short. Beyond those common-sense reasons, however, using GFCI outlets is a matter of federal law. The National Electrical Code specifies that the outlets must be used in kitchens, bathrooms, outdoor outlets, garages, bar sinks and laundry sinks. What do all those places have in common? As you may have guessed, they all witness regular water use. That can be very dangerous when water comes into contact with electricity. The GFCI outlet shuts off the power automatically in those circumstances, sparing you injury and your electrical system considerable damage. A qualified electrician can install GFCI outlets in your home without too much trouble. Once they’re installed, you can test them by following the instructions provided by the GFCI outlet. If you don’t have them, then simply plus a light into the outlet and turn it on, then depress the outlet’s “test” button. The light should go out, and you can reset it again by pressing the “reset” button. 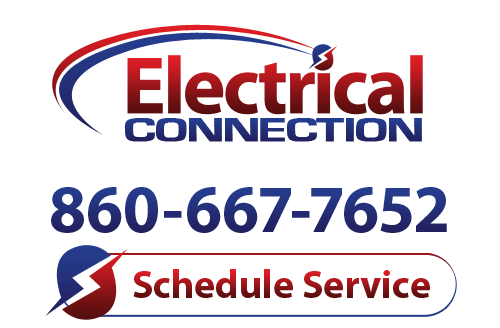 For electrical issues in Hartford, turn to the experts at Electrical Connection. We can install GFCI outlets in old home and new ones alike, ensuring that you’re up to code and keeping your family and household safe. Give us a call to set up an appointment; emergency services are available 24 hours a day and we travel to cities throughout the whole of Connecticut.